Oh! You've never heard of CurrentC? That's ok, you're not missing anything. With Apple Pay making news recently as a frictionless and secure payment system, the spotlight has been shone on businesses who have opted out of the new service. In fact, the biggest complaint with Apple Pay is that not enough businesses are accepting it. It has also come to light that the reason why many large retailers have opted out of Apple Pay is because of a consortium called the Merchant Customer Exchange (MCX), which is an effort spearheaded by Walmart to encourage customers to replace credit cards (with fees that the retailers loathe) with their checking accounts. NOTE: this requires giving CurrentC your SSN and drivers license number, which, in their own words, "is not stored in your phone." As if it makes us more comfortable to know that critical information commonly used in identity theft will be stored in the cloud of an organization that has already been hacked. Finally, rest comfortably knowing that this data resides in the cloud and that your purchase history could be shared among all participating MCX retailers so they can use that information to send you targeted ads and loyalty offers. That's exactly the problem - this is a solution that primarily benefits retailers, not consumers. CurrentC is trying to use the thin veil of loyalty rewards to mask their true intentions. Some consumers will see right through this ruse, while others will simply balk at how cumbersome the service is to use. I understand the desire for retailers to bypass the 2-3% processing fees that come with credit card transactions, but until they find a solution that gives consumers a substantially better experience than the current status quo, they will fail. I've been automatically mailed a new credit card twice in the last year due to the Target and Home Depot breaches. Any fraudulent purchases (where were none) would have been reimbursed, no questions asked. 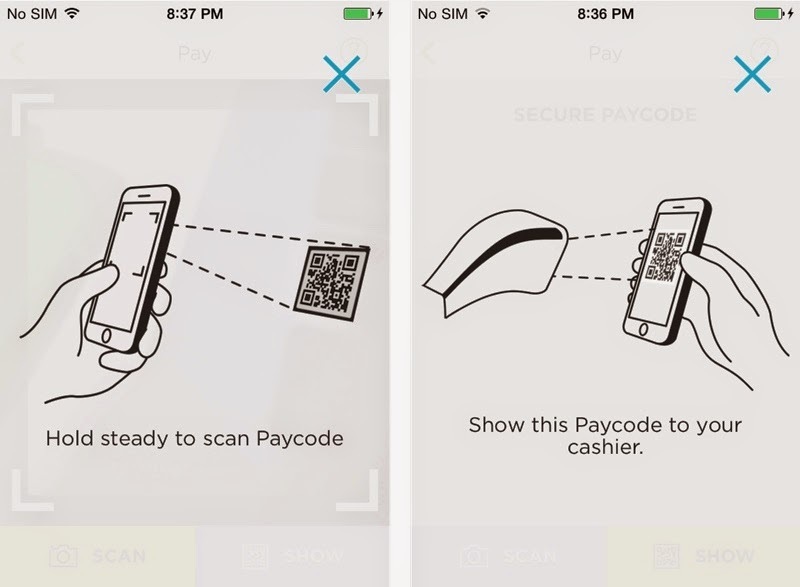 Simplifies the checkout process to a single motion involving moving your phone close to the checkout kiosk while holding a finger on the TouchID button. Because phones are usually immediately accessible to most people, this will be more convenient than pulling out a credit card. Dramatically increases security. Your credit card number is not stored on your device or anywhere else. Transactions are made via a dynamically-generated single-use number at the point-of-sale. In the event of a credit card breach, your number is safe, and no new card needs to be issued. Automatically works with your credit card issuer to update expired cards without any user intervention. Keeps your purchase history private. The credit card issuer will still know, but Apple does not have access to this information; it will not be shared with anyone else. So what does this have to do with healthcare? I've previously discussed the importance of creating mobile apps that start with the problem and integrate into users' workflows. These concepts are not unique to healthcare, but we happen to be at the beginning of a movement to take healthcare mobile in the hope that we can fully realize the benefits these emerging technologies may provide to healthcare quality and efficiency. Ensuring that these technologies are useful and usable will be key to our success, and the contrast between initiatives like CurrentC and Apple Pay is instructive. Even so, the financial world is relatively simple compared to healthcare (which includes the financial aspects plus much, much more). Integrating into a consumer's workflow is far easier than integrating a new intervention into a provider's workflow, and then attempting to scale that intervention across multiple hospitals and EHR vendors. Yet this is exactly what we need to do. Standards-based frameworks such as the SMART platform show promise that this is achievable. I will have more to say on this topic in the near future. Until then, keep your eyes open for other examples where usability is sacrificed for secondary gains. CurrentC is not alone.